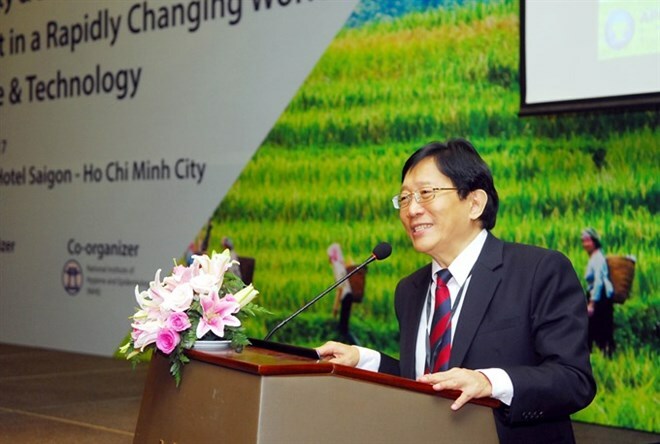 HCM City (VNA) – As many as 180 international and Vietnamese bio-safety experts, professionals and practitioners are discussing bio-risk, bio-preparedness, and bio-terrorism at the 12th Asia-Pacific Biosafety Association (A-PBA) Conference that opened in Ho Chi Minh City on August 24. The four-day conference aims at generating discussions on the various current bio-safety and bio-security issues of concern at the global, regional, national and technical levels. The discussions range from bio-terrorism, bio-risk management, challenges from bio-threat in a rapid changing world of science and technology, and laboratory bio-risk in the Asia-Pacific region. “With the increasing threat of bio-terrorism around the world, concerns have been raised about how well we are managing and safeguarding infectious agents in our facilities,” Dr Chua Teck-Mean, president of the A-PBA, said. It is with these concerns that A-PBA has chosen the theme of this year’s conference to be “Biosecurity & Biosafety - New Challenges of Bio Threat in a Rapidly Changing World of Science & Technology,” he said. Prof Dang Duc Anh, Director of the National Institute of Hygiene and Epidemiology, a co-organiser of the conference, said researching and testing dangerous infectious pathogens plays an important role in controlling communicable diseases and helps prevent, detect and respond to dangerous diseases. “Ensuring bio-safety and bio-security in laboratories working with infectious pathogens is essential to protect laboratory workers and the community. The World Health Organisation and the US Centres for Disease Control and Prevention have issued detailed guidelines for bio-safety and bio-security, and based on these guidelines, countries have developed their own regulations and guidelines, he said. Vietnam is a leading country in Southeast Asia in developing a legal framework for bio-safety and bio-security, he said. Thanks to that, its laboratories are safe, he added.